Complete the form below to donate to SSA. Please let us know how much you'd like to donate. Please provide your donation amount as a whole number (e.g. 100). Please provide your billing information to process your donation with. Your credit card is secure. Please select the type of credit card. 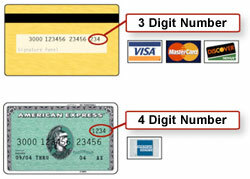 A valid credit card number is required. Please select the expiration month. Please select the expiration year. All contributions are tax-deductible to the fullest extent allowed by law. SSA is a 501(c)(3) tax-exempt organization. Yes, your donation will be processed using our 100% secure connection with Stripe. When you share information with SSA, your name will never be given or sold to any other organization, ever.